The high cost of electricity pushed homeowners to devise new ways to lower their power bills. Different solutions to lower energy consumption include the installation of cool roofs (lowering the temperature of the structure and therefore requiring less energy to combat the heat) and solar panels (to collect heat from the sun, which are used as heater for devices within the house or energy to power them). The rise in the popularity of solar power can be attributed to people’s efforts to make their houses more energy-efficient. For people living in places with plenty of sunshine throughout the year like Florida, the installation of solar panels on the Miami roofing or the ground is a wise investment. We take a look at one such product in the solar panel category that offers to heat up your pool using the free and clean energy from the sun. This is the Sunsolar Energy Technologies’ Roof Mountable Solar Panel Kit, simply called the Sungrabber. The Sungrabber is a solar panel system that is attached to the roof of your house. Its primary purpose is to heat up your pool by tapping sunlight to generate heat. According to the manufacturer, the product will easily heat your pool through the free and reliable heat from the sun. A solar system of the proper size can generate all the heat to warm up your pool. The immediate benefit from using the Sungrabber is reducing the use of electricity to totally eliminate if not minimize your water-heating bill. The panels consist of 1-1/2ʺ headers optimally designed to maximize solar efficiency and therefore present the best circulation of pool water through the solar panels. To increase the heating capacity of Sungrabber, additional panels may be added. Sungrabber circulates the water from the pool through the solar panels. The system utilizes solar energy to warm the water before it returns to the pool. Customers’ satisfaction from the product is mixed. One buyer extols the product for heating up his spa at 100°F despite having a 60° F temperature. 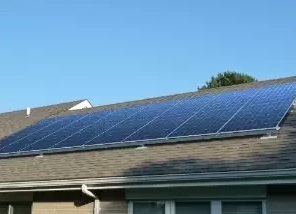 Others, however, complained that the solar panel package does not contain all the parts needed to install the system. You have to buy additional items from the store to use the product. Most complaints are centered on the stock hoses that connect to the panels. They apparently do not connect properly and could not withstand water pressure resulting to unwanted leaks.